Cynthia R. Jones, 49, of Flora, Illinois, passed away at 6:15 a.m., Saturday, March 31, 2018, at Deaconess Hospital - Midtown Campus in Evansville, Indiana. Cynthia was born on April 8, 1968, to William Eugene Johnson and Brenda G. (Hyatt) Eckel in Kirbyville, Texas. She was the deli and bakery manager at IGA for many years. She loved the outdoors and enjoyed fishing and camping. Most of all, she loved her family and spending time with her grandkids. 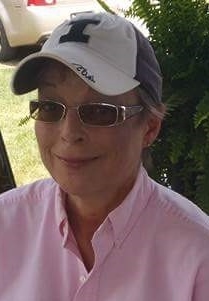 Cynthia is survived by her children, Lacey Jones of Flora, IL, and Logan Jones of Flora, IL; mother and stepfather, Brenda (Rich) Eckel of Iuka, IL; grandchildren, Mylea Jones, Maddex Jones, and Aubree Persinger; and grandmother, Wanda Gerber of Louisville, IL. She was preceded in death by her father, and 2 brothers, Kevin E. Johnson and Barry Jones. Private family services will be held at a later date. Expressions of sympathy should take the form of donations to Kohn Funeral Home to assist the family with expenses and may be received at Kohn Funeral Home, 500 W. 12th St., Flora, IL, 62839. Online condolences may be expressed at www.kohnfuneralhome.com.